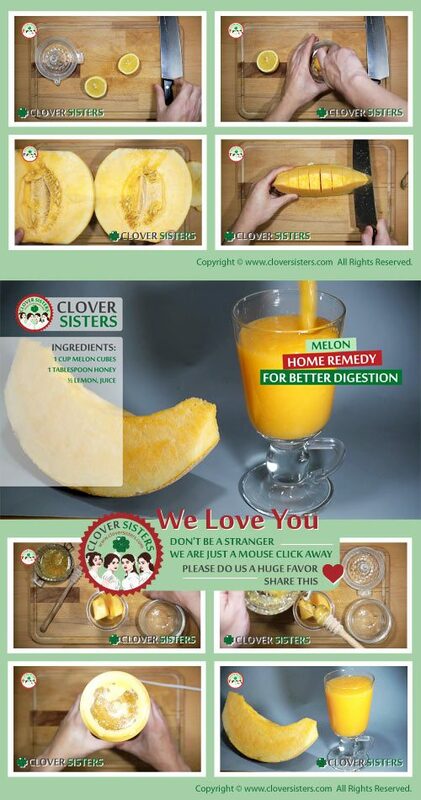 Melon (Cucumis melo) is a wonderfully delicious superhero of fruits with high water content and refreshing taste. Cantaloupe is another name for this powerhouse of health and perfect fruit for even the pickiest palates. Melon makes a refreshing treat on a hot summer day and provides a low calorie and healthy choice any time you crave sweets. They not only have a delicious taste, fat free melons are also rich source of vitamin C, vitamin A, carotenoids, bioflavonoids, beta-carotene, potassium, calcium, and iron, dietary fiber, lycopene and pectin. Melons as a quintessential summer snack are going to help you with: lung, pancreatic and oral cavity cancers prevention, heart diseases, eye health, asthma, high blood pressure, reduction in the formation of kidney stones, constipation prevention, dehydration, weight loss, diabetes, ulcers, insomnia, muscle cramps and erectile dysfunction. Melons are sweetest when they are ripe. Because melons don’t have a starch content, they cannot increase sugar content once picked from the vine. Therefore, you must be careful and choose only the ripe ones, because only the ripe ones have the best flavour. Melons are considered to be potentially hazardous food and can cause illness or even death. Always thoroughly wash melons before slicing, to get rid of any impurity on the rind, because surface of is often covered with bacteria like listeria, that can cause listeriosis infection. Melon seeds are edible, and can be dried or roasted or eaten as healthy snacks. They are full of vitamins and minerals, and can be pressed for oils. Melon seeds have high concentration of protein, about 20 grams per 100 grams of dried melon seeds. Melons are a rich source of carotenoids like lutein, zeaxanthin, beta-carotene and cryptoxanthin. Carotenoids are natural pigment that have a protective role in the body. Fruits with high content of carotenoids can protect you from cancers and kill the cancer seeds that invade your body. As we already know melons contain lutein and zeaxanthin. Those important phytonutrients have ability to maintain eye health and reduce eye disorders such as cataracts and macular degeneration. Also, beta-carotene will help you to see better in low light situations. Heart related problems like high blood pressure or heart attack are quite common these days. Why not try to include melons in your diet and lower the risk of heart disease. They contain an anticoagulant called adenosine that can stop the clotting of blood cells, and potassium that can regulate blood pressure. Blend all ingredients, consume once a day for a two weeks.